If something performs well and emerges from the Strathpuffer in one piece, you can assume it’s worth having. 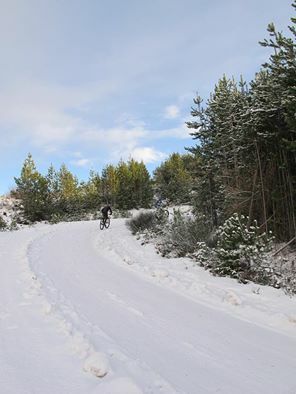 Here’s the first of 2015’s “Stuff the survived the Strathpuffer” blogs…. Craft took care of the outer layers with Siberian windproof gloves, PB Storm bib tights and PB Featherlight jacket. The final mile of the Strathpuffer lap involved a soaking-wet slither down a hill that was covered in several inches of soaking wet mud. My bibtights basically took a pounding every lap and while they got wet, the windproof panels and the perfect fit meant that they didn’t become baggy and I didn’t get cold. Likewise, when the temperature dropped during the night the jacket kept the chill at bay. My hands, normally the first to turn to blocks of ice when it’s cold, didn’t get cold at all in spite of freezing temperatures and a chilly wind. After the race, everything spent a couple of days in a bag, rinsed in a bucket and then washed at 30 degrees in non-bio detergent. Everything came out as good as new. Underneath all of that, I was wearing a pair of Armadillo Merino Commando Socks and a pair of merino liner gloves. My overshoes (cheap, sacrificial ones that I’ve had for years) kept popping off the toes of my shoes, leaving me riding most of the race in summer cycling shoes and socks. It was down to the socks to keep my wet feet from getting cold and I can’t praise them highly enough. I’ve worn loads of wool socks in the past but the performance of these is really quite remarkable. I was expecting cold feet as they were repeatedly exposed to water and wind, but it never happened. The socks themselves were soaking wet but somehow they managed to stay warm. Brilliant. Get a pair. If it’s tough, warm and well-fitting kit you’re after, my advice is to get something that’s survived a Strathpuffer.